Celebrating Everything Organic, Green, Sustainable, Healthy & FUN! celebrating everything organic and green! Why: Celebrate and promote the goodness of organics! Organic is Good ... for People & the Planet! 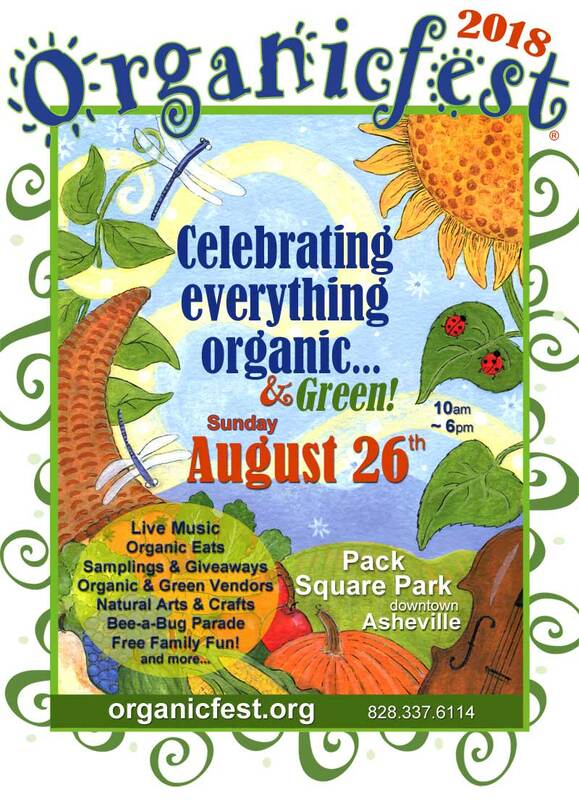 Asheville’s annual Organicfest celebration will bring thousands to Pack Square Park to celebrate everything organic, green and healthy! In celebration of National Organic Month, the Organicfest was created to spotlight, connect, share and grow our rich organic community of farmers, artists and businesses with our guests. Everyone is invited to attend the 17th Organicfest celebration on Sunday, August 26, 2018 for a festive day filled with live music by local entertainers such as Kendra Warren, Sheri Lynn and Friends, Jimmy Landry, Greenway and many more. Organicfest guests can enjoy tasty organic eats from the Organicfest Cafe, The Hop Ice Cream Cafe's yummy organic vegan ice cream, MacDaddy's cold and refreshing organic lemonade with a~ don't want to miss authentic, handmade organic "real deal" Blunt Bavarian pretzels! Each year, donations from local and national businesses are gathered for the popular Organicfest drawings with lucky winners taking home fabulous organic gifts, goodies and gift certificates throughout the day. This family event includes plenty of fun and eco-friendly activities for children, including special entertainment on the Imagine OrganicKidz stage. And you won’t want to miss the Organicfest “Bee Organic!” Parade where kids (and their parents) are invited to come dressed as their favorite good bug (honeybee, ladybug, butterfly or garden fairy!) and parade throughout the park in a joyous celebration of the bounty of the organic garden and the importance of pollinators. 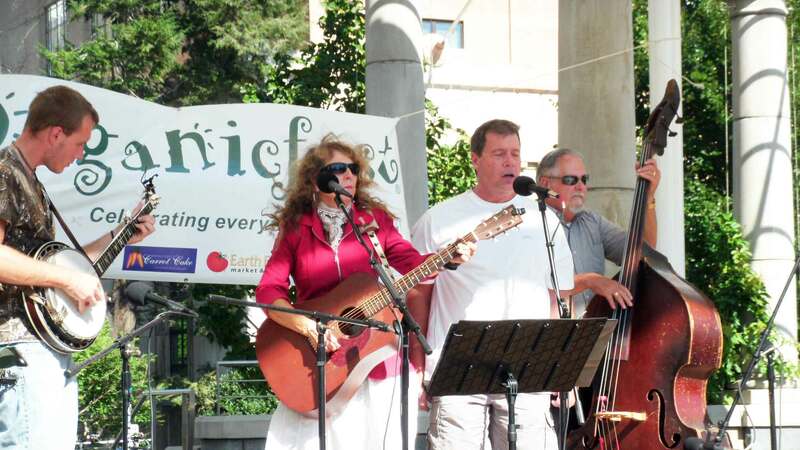 Organicfest is presented by a local, all-volunteer non-profit group in partnership with Asheville Greenworks to present a low impact, green event. The greening of Organicfest will include recycling and composting. Sponsors include: Organic Matters Media, Natural Lifestyle, West Village Market, 880 AM The Revolution, The Laurel of Asheville, Great Life Global, Dig Local, The Block Off Biltmore and other local and national businesses and services. amazing support of our sponsors and supporters! get the word out about this special festival! 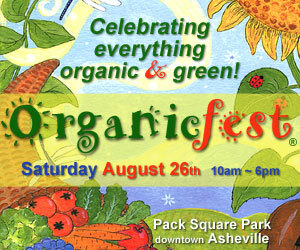 Help us get the word out about Asheville's Organicfest by placing one of our banners on your website or in an email. Right click to download or copy.